Homologs share a common evolutionary origin, but "neither traits nor representations of traits are transmitted to offspring. Instead, they are made— reconstructed—in development'' (Oyama et al. 2001 p 2). Both development and evolution can be conceived of as a "process of construction and reconstruction in which heterogeneous resources are contingently but more or less reliably reassembled for each life cycle'' (Oyama et al. 2001 p 1). Development results in pattern formation, an "activity by which embryonic cells form [spatially] ordered arrangements of differentiated tissues'' (Gilbert 1988 p 589), and comparative morphology analyzes these patterns in terms of topology and connectivity. Raff and Sly (2000 p 102) noted that developmental modules "occupy specific physical sites within the embryo,'' and "exhibit varying degrees of connectivity to other modules within the embryo.'' This is the juncture at which the operational criteria of homology find their partial, and defeasible, causal grounding in the process of development. It is for these reasons that developmental modules, themselves natural kinds (Wagner 1996, 2001; Brandon 1999; Rieppel 2004c), have been identified as the "traditional units for claims about homology'' (Winther 2001 p 117). However, the use of ontogeny to causally ground homology statements is riddled with difficulties. For Darwin (1859 p 449), "... community in embryonic structure reveals community of descent. It will reveal this community of descent, however much the structure of the adult may have been modified and obscured.'' However, in the fourth edition of the Origin (1866 p 312; see Peckham 1959), Darwin added: "... community in embryonic structure reveals community of descent; but dissimilarity in embryonic development does not prove discontinuity of descent.'' The reason is that structures considered homologs may share strikingly different developmental trajectories. 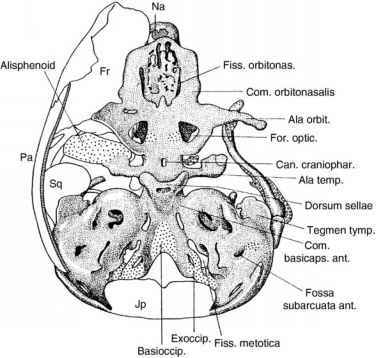 A simple and classic example is the generally accepted homology of the vertebrate brain in spite of the fact that the neural plate delaminates, rather than invaginates, in teleosts. Hall (1995) presented a review of the role of ontogeny as a criterion of homology, concluding that "homology can no longer retain its historical links to shared embryonic development,'' for "there are so many examples of homologous structures arising from nonhomologous developmental processes'' (Hall 1995 p 8; see also Rieppel 1993; Hall 1994; Rieppel and Kearney 2002). But just as potential homologs can develop along different ontogenetic trajectories, so can a similar developmental background generate very distinct morphologies: "The transcription factors 'distal-less,' 'engrailed,' and 'orthodenticle' each have orthologs involved in patterning very different structural features in different metazoan taxa'' (Mindell and Meyer 2001 p 435). Similarly, Raff (1996 p 352) found it surprising ''that both genes and principles of appendage development are shared between two phyla,'' i.e., arthropods (Drosophila) and vertebrates (tetrapods). As summarized by Wagner (1994 p 275), organs with the same structural organization (structurally identical body parts) may have different developmental pathways, may use different genetic information for their development, and may not share a common phylogenetic origin. Developmental biologists therefore recognize different concepts of homolo-gy, of which the one discussed in the preceding section—the phylogenetic or ''taxic'' concept of homology—is only one. In addition, there is the ''morphological homology concept'' that uses ''structural identity for its definition,'' and the ''biological homology concept,'' which is based on ''shared developmental constraints'' (Wagner 1994 p 174; Roth 1984 emphasized shared developmental pathways instead). According to the latter concept, ''structures from two individuals or from the same individual are homologous if they share a set of developmental constraints, caused by locally acting self-regulatory mechanisms of organ differentiation. These structures are thus developmentally individualized parts of the phenotype'' (Wagner 1994 p 275; see also Wagner 1989). In contrast, West-Eberhard (2003 p 486) distinguished what she called "broad-sense homology'' (corresponding to "biological homology'') from "cla-distic homology.'' In contrast to cladistic homology, broad-sense homology allows for parallelisms (see the discussion above on the problem of an empirical distinction of parallelisms from taxic homology), and the recurrence of features previously lost in phylogeny. As such, broad-sense homology includes cladistic homology as a subset, the two concepts in fact representing "complementary approaches to understanding the evolution and stability of structure'' (WestEberhard 2003 p 488; on the issue of complementarity see the discussion later). Indeed, statements of biological homology and statements of phylogenetic (taxic, cladistic) homology may be expected to be congruent if the developmental mechanisms underlying the corresponding structures are so complex that their repeated evolution would seem very unlikely (Shubin 1994 p 206). However, because of the problems outlined previously, "there is no rigorous way in which biological homology concepts can be used to distinguish between phylogenetic homology and homoplasy'' (Shubin 1994 p 206). It is for these reasons that comparative studies of development "can be used to trace homology, but developmental differences do not negate it'' (West-Eberhard 2003 p 496). Similarity of gene expression patterns and developmental pathways as captured by biological homology may support hypotheses of taxic homology but not the other way around (Rieppel 2004c).